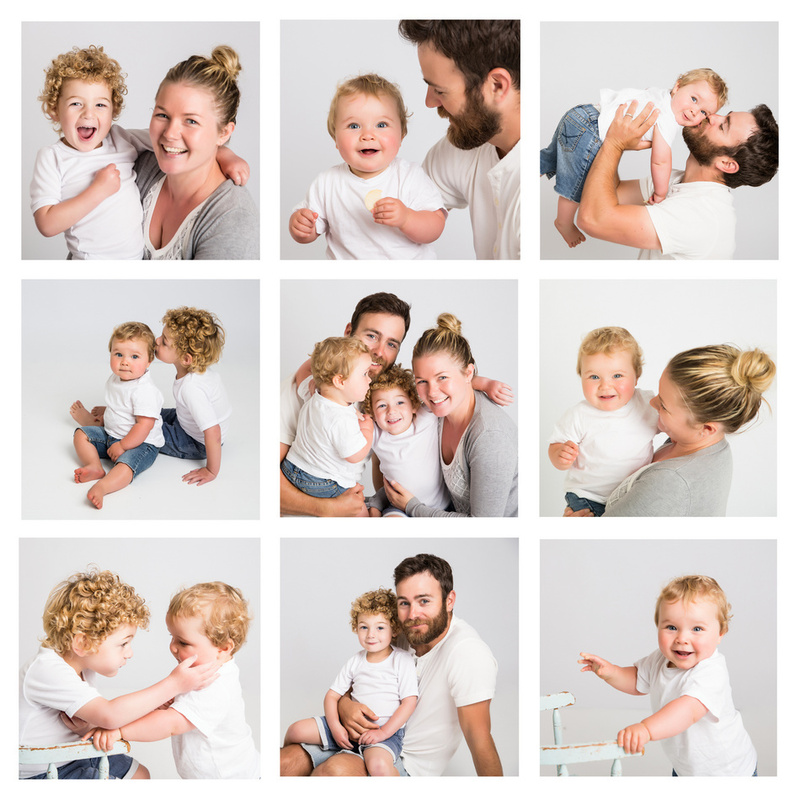 So you're looking for a newborn or baby photographer in Wellington, but you don't know what to look for or which one to choose?! I totally get that. So here's what a bunch of delightfully happy clients have had to say about having their photos done with me. Most of these have bought a tear to my eye - I take customer service and satisfaction very seriously! I offer a 100% satisfaction guarantee on portraits to all the families I work with. Jane recently photographed my 2 1/2 year old twins and my 8 month old baby. In the same photo session. What an assignment! Thank goodness my mum was with us as my trio were really playing up and I was really doubting we would get one picture that was half decent. How wrong I was. Jane calmly worked with one child at a time and mum and I chased the other two. She was amazing with the kids, heaps of fun and had lots of tricks up her sleeve so that their personalities really shone through in the images. I was blown away when I saw what she had captured. I had written the session off after I walked away that day!!! She's a total professional and you can tell she has a real passion for what she does, her studio, props and backyard are totally geared up for photography. Photos are something I treasure, so choosing a Wedding photographer was a big deal to me. Jane originally popped over to our house for a casual chat. She was great, nice and laid back and the sort of person you feel comfortable around. Instantly thoughts of intimidating photographers were erased. The wedding package we decided to go with included an engagement session, this confirmed our feeling that we would feel at ease and natural being photographed by Jane. On our wedding day Jane went above and beyond, she constantly checked with us that we had all the shots we wanted and she was great at keeping to schedule while still showing great attention to detail. She even snuck us out of reception for some quick sunset photos (my favourite shots). We absolutely love our wedding photos and are so grateful for the amazing job Jane done. We have received lots of compliments about our photos and can't recommend Jane enough. When we got our photos through I was over the moon with the variety and quality and have had so many comments on them. I felt like I was one of those brides that are all over Pintrest!! Photos were a really important part of our day, and Jane captured the day perfectly with a mix of really natural shots and some classics as well. My whole bridal party mentioned how easy Jane made the photo shoots, and how relaxed they all felt. I will use Jane for any photography I ever need, and have recommended her to friends planning to get married to help remember their special day as well"